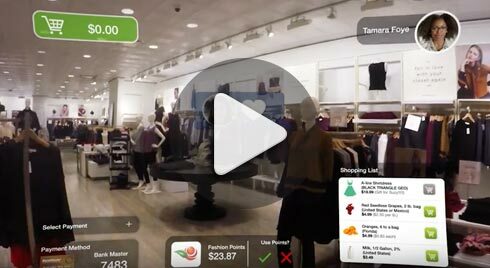 Rambus retail software enables retailers to create a secure unified buying experience both in-store and online, offering scan-and-go, integrated merchant wallets and mixed payment solutions with credit cards, loyalty points and gift cards, reducing costs, increasing revenue and keeping customer data safe. For online transactions, Rambus serves as a gateway to third-party tokenization services to tokenize card on file data using EMVCo tokenization, reducing risk in case of data breaches. Token Gateway A single interface to multiple network tokenization services to request EMV payment card tokens for e-commerce and digital wallets (HCE). 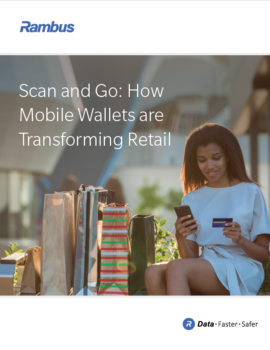 Rambus mobile payment solutions offer a single, modular software platform that enables payment issuers and retailers to safely load and manage cards onto NFC smartphones. The technology adapts to different mobile payments ecosystems – whether card credentials are stored on the device or in the cloud using host card emulation (HCE) – and ensures security through tokenization. In this way, customers can fulfill the role of a token service provider (TSP), securing transactions by removing vulnerable card data from the payment network. Click here to read how Rambus mobile payment technology is making our customer’s products better. The way we pay is changing. Consumers are now using their PC, smartphones, wearable devices and even cars to buy goods and services. The size and value of the card-not-present (CNP) market, therefore, is increasing exponentially as payment use-cases across e-commerce, m-commerce and the Internet of Things (IoT) emerge and mature. Although payment methods utilizing card-on-file offer convenience, they also create challenges. EMV payment tokenization can significantly enhance the security of card-on-file payment methods, while increasing convenience and simplifying the user experience.